​ask questions, and register your child. ​Please let us know you're coming by clicking here! your vocal talent & percussion playing skills! Both workshops are offered both weeks. ​Repertoire differs from week to week. • Participate in age-appropriate vocal classes. • Sing as a choral group. • Play drums and percussion instruments a la World Music Drumming. • Explore musical concepts and proper posture/form through movement. • Experience the healthful benefits of singing and playing. • Listen and learn about other cultures through music appreciation activities. • Practice self-reflection and self-assessment via journaling. • Reinforce 21st century skills while engaging in ensemble work. ​a community performance showcase presented by the program participants. ​with an exciting, positive, and rewarding musical experience. Jessica Corbin will work with students participating in "Voices in Rhythm." ​Jessica Corbin is in her 15th season as Artistic Director of the Bella Voce Singers. A graduate of Indiana University and Duquesne University, Jessica currently works as a freelance conductor, music director, vocal coach and accompanist in and around New York City, and is an adjunct professor at Marymount Manhattan College in the Music Theater Department. She has extensive teaching experience, having served as an Associate Instructor in the Music Theory Department at Indiana University, Director of Musical Activities at the Maryland School for the Blind, teacher in the vocal music department at F. H. La Guardia High School of Music and Art and Performing Arts in Manhattan, a teacher of piano, chorus and theory at the Brooklyn Conservatory of Music, and in the Theater Department of Kingsborough Community College of the CUNY. She most recently composed all original music for The Visitors, a short musical-play produced by EnGarde Arts in the BOSSS Festival in Manhattan. As an accompanist and music director, she regularly works with area theater programs and vocal classes, including those at New York University, Marymount Manhattan College, Kingsborough Community College, and the Workshop Theater Company in Manhattan. She also works as a vocal coach in Manhattan and Brooklyn, and for the past four years has been faculty as vocal coach and accompanist at the Kennedy Center American College Theater Festival. 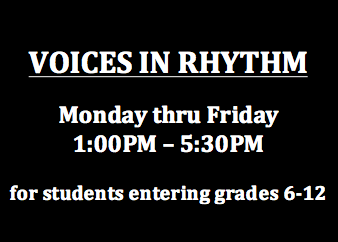 Julia Hurn will work with students participating in "Voices in Rhythm." 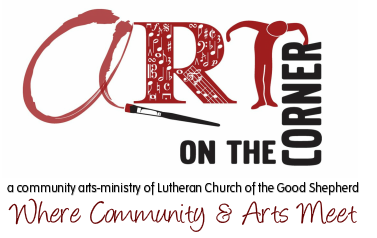 Julia Hurn, music educator and musician, is excited to be part of the first year of the Summer Music Institute at Art On The Corner. She is currently a teacher of World Percussion and Piano at Harvest Collegiate High School in midtown Manhattan, and has an avid interest in Puerto Rican Bomba y Plena. A NY State Certified classroom music teacher, she has worked as a classroom choral, general music, and drumming instructor, first in Chicago, her home town, then at elementary and middle schools in Brooklyn, and now at the High School level. Since 2007, Julia has trained during the summers in World Music Drumming with Will Schmid and Sowah Mensah, Ghanaian Master Musician, achieving Level 2, and is a student in this method on a continuing basis. She recently joined up with the Julia de Burgos Latino Cultural Center to attend weekly drumming workshops in East Harlem. A two-year participant in the Carnegie Music Education workshops, Julia has presented on “The Reluctant Singer”, and has developed choruses at the elementary and middle school level. With Rita, she is a founding member of the Children's Choral and Arts Festival for Peace. Rita Pihra-Majurinen, Program Director, will work with students participating in both workshops. Rita Pihra-Majurinen, a graduate of Wagner College and Boston University (MM in Music Education), currently serves as Artistic Director of Art on the Corner. 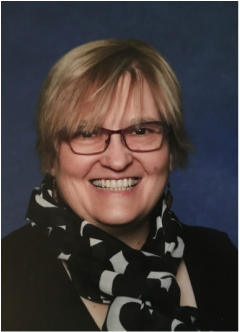 She brings an extensive portfolio as an educator, children's choral director, program director, music director, accompanist and piano teacher, to the Summer Music Intensive. Her current positions include: Music Director at Leif Ericson Day School - preschool through grade 8, directing an elementary choir and middle school choir, teaching general music classes, guitar, soprano recorder and drumming, and co-director of the after school Drama Group: Coordinator of Music Ministry for Lutheran Church of the Good Shepherd, where she plays organ, piano, guitar, and drums, and coaches children, youth and adults in leading singing at worship, including directing a Men's Ensemble; Director of Children’s Chorus of Bay Ridge, a community chorus for students grades 1 thru 8; and founder and Co-Director of the annual Children’s Choral Arts Festival for Peace. Her experience as founder and Director of the Summer Creative Arts & Music Program cemented her skills in program management. In 2011, Rita added World Music Drumming to her resume, spending time each subsequent summer learning from masters in the field: World Music Drumming curriculum developer and author Dr. Will Schmid, Ghanaian Master Drummer Dr. Sowah Mensah, Cuban Master Drummer Dr. Josh Ryan, and Choral Master Dr. Lynn Brinckmeyer, attaining Level 3 in 2015.